The Bedouin tent has been a dwelling-place for man since the dawn of history. 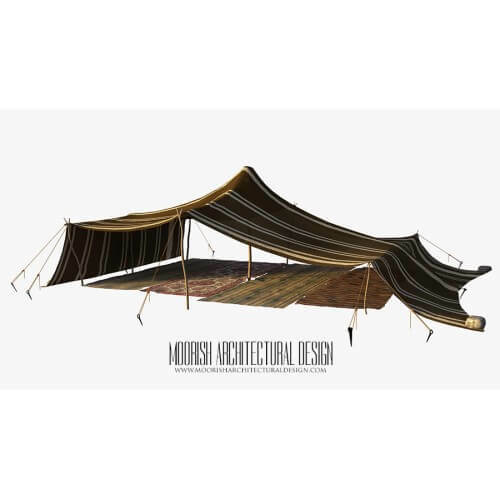 Varying geographical features and differences in the culture of its dwellers may have altered its design, but its essential qualities are unchanging: a tent needs to be flexible, and it must be lightweight. 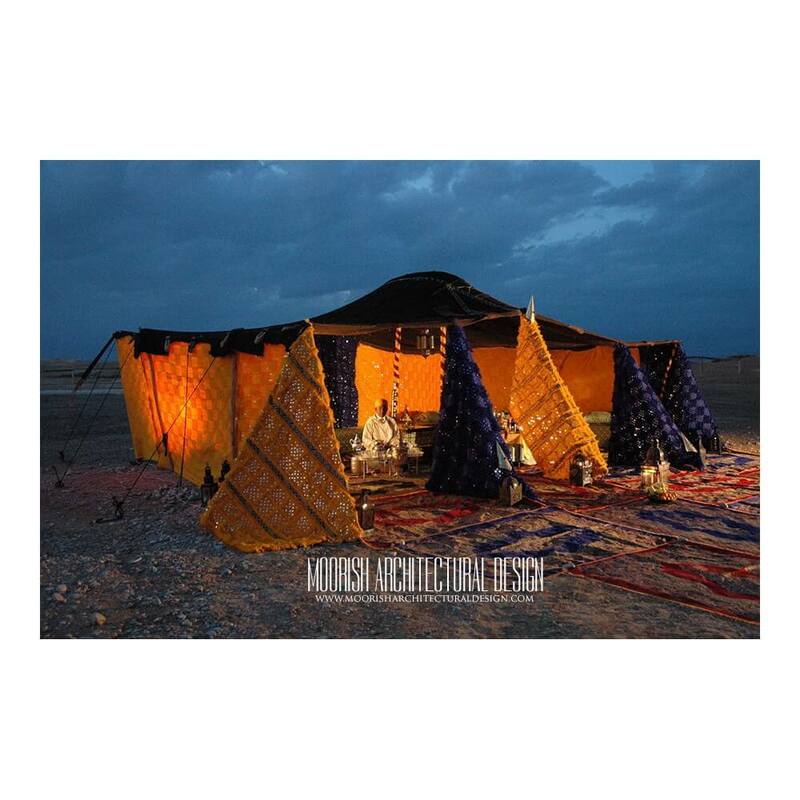 The Bedouin of the Arabian Desert uses a black tent known as the beit al-sha'r, or 'house of hair'. These tents are woven from the hair of domesticated sheep and goats, and their design is thought to have originated in Mesopotamia. 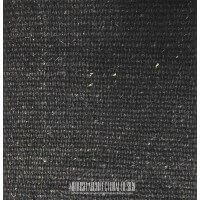 The animal hair is woven into strips of coarse cloth known as fala'if, which are then sewn together. The natural colour of the animal is retained -- mainly black goat's hair, with occasional addition of sheep's wool, which gives the tent a streaked, brown/black appearance. The tent cloth is woven loosely to allow heat dispersal. Although the black colour absorbs the heat, it is still between 10 and 15-degree cooler inside the tent than outside. The tent provides shade from the hot sun, as well as insulation on cold desert nights. During rainstorms, the yarn swells up, thus closing the holes in the weave and preventing leaks. 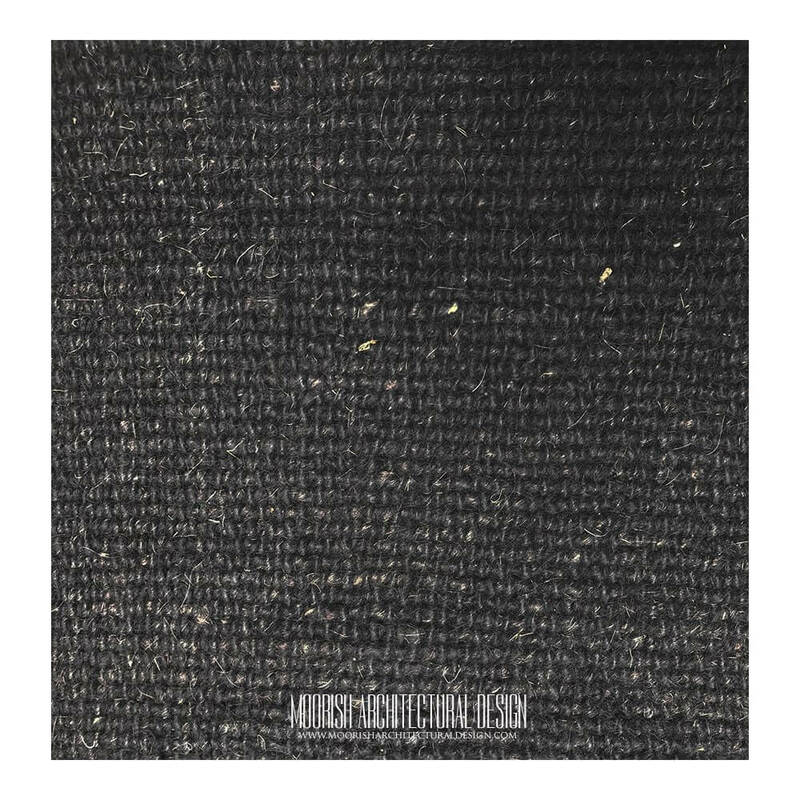 The goat's hair is naturally oily, which has an added effect of repelling the water droplets, so the tent's occupants can remain comparatively dry. 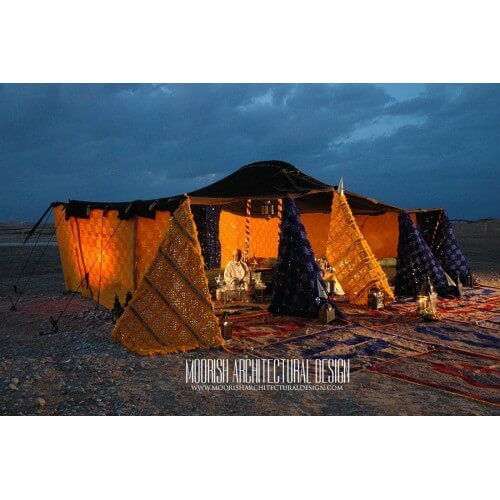 The flattened shape of the tent roof is aerodynamically designed so that it cannot be blown away by sudden gusts, or by more prolonged windy conditions common in the desert. The exceptional length of the hempen tent ropes also assists wind resistance, as the ropes act as shock absorbers. An additional advantage of these long ropes is that they can act as trip wires to protect the tent's occupants from unwelcome intruders. 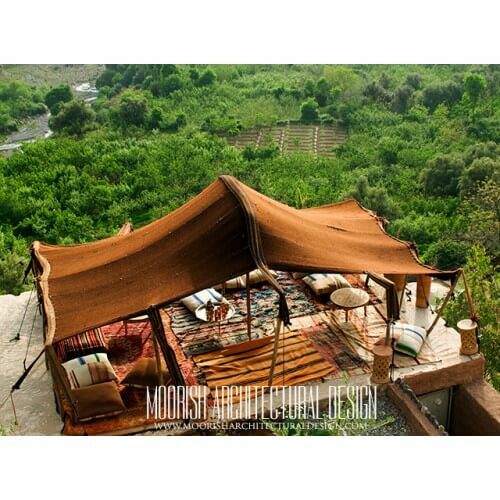 Marco Polo once described a tent used by Arabian desert bedouin on a hunting trip. Its ropes were made of silk and it was lined with ermines and sables and coated with the skins of lions. The interior was large enough to accommodate 10,000 soldiers and their officers. Impressive indeed and a far cry from the humbler version used by the Bedouin people. However, for practicality, durability and adherence to tradition, the beit al-sha'r, or 'house of hair' is a winning design proved by centuries of use.